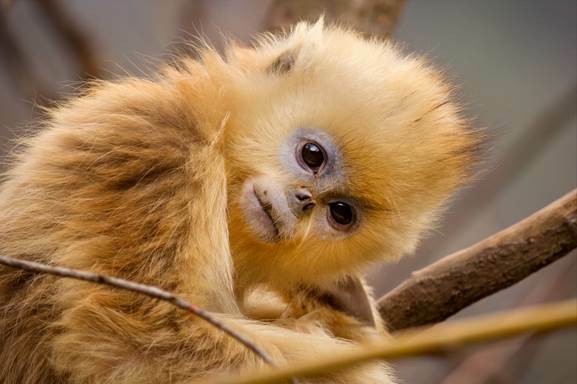 Disneynature’s BORN IN CHINA Available on Blu-Ray NOW! 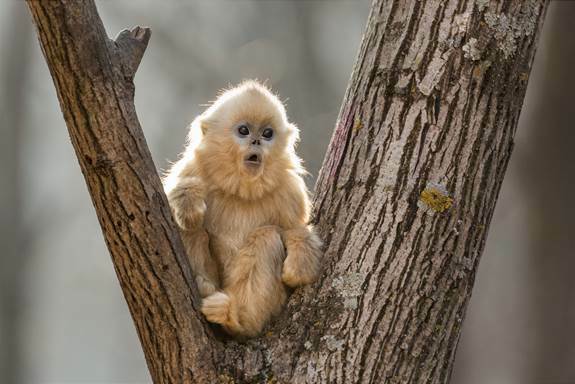 We love this movie and it’s Disneynature’s BORN IN CHINA is finally available on Blu-ray now! Disney’s Born In China, narrated by John Krasinski, transports audiences to some of the world’s most extreme environments of China where few people have ever ventured to witness wildly intimate and adorable moments in the lives of three animal families – a doting panda bear mother, a 2-year-old golden snub-nosed monkey, and a mother snow leopard. It is the seventh theatrical release from Disneynature, which brings the world’s top nature filmmakers together to share wildlife stories that engage, inspire and educate. The breathtaking footage and high-definition quality picture is captivating for audiences of all ages and is a must-add to the in-home collection. Disneynature’s newest true-life adventure film “Born in China” journeys into homes on Digital and Blu-ray™ Combo Pack on Aug. 29. Look at that face!!! Isn’t this monkey just the cutest? Get ready for cuteness overload as you follow several animal families in the wilds of China, up close like you have never seen before. 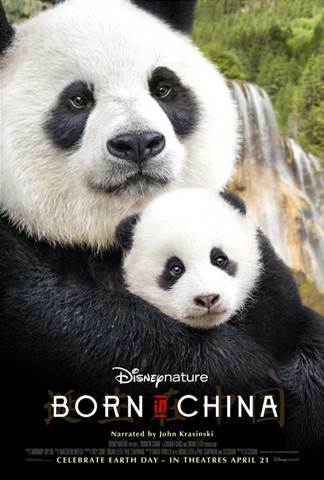 If you are a fan of Disneynature films, then you are going to love Disneynature’s BORN IN CHINA, which you can purchase right now on Amazon here! I have actually seen this movie several times and I have to tell you, it’s such an amazing look at these animals in the wild. It is truly unbelievable to me that were able to capture these animals. I love these films because not only are they educational, they are such a wonderful peek at an entirely different part of the world. After watching this movie, you will feel like you have traveled to China. This is a fantastic movie is rated G and it is perfect for the entire family! One of my favorite things about this film is that moviegoers who see Disneynature’s new True Life Adventure film “Born in China” during its opening week (April 21-27, 2017) will benefit the World Wildlife Fund (WWF). 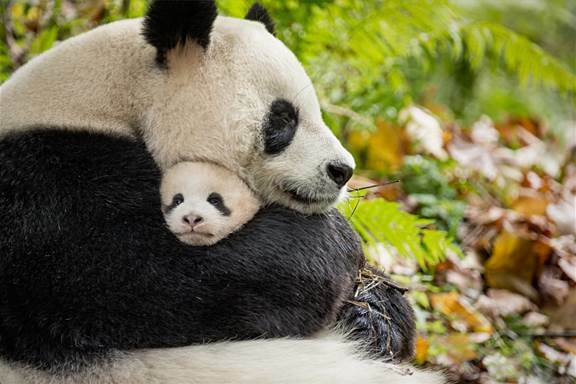 Based on opening-week attendance, Disneynature, via the Disney Worldwide Conservation Fund, will make a contribution to the WWF to help protect wild pandas and snow leopards in China! Now for the fun part! 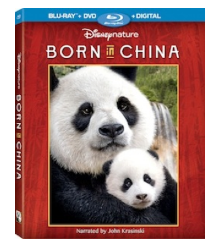 One lucky She Saved winner (US only) will receive their own copy of Disneynature’s BORN IN CHINA on Blu-ray! I will leave this giveaway open until September 30th (mnt time) … once closed, I will select one winner who will have 48 hours to contact me to claim their prize! GOOD LUCK!! « Channel the Force!! Today is Force Friday at GameStop! I would like to watch this movie with my wife. She loves animals. Thanks for the giveaway. I hope that I win. I would love to watch it with my 3 kids. We have not seen it. I would love to watch this movie with my kids. We love nature films.